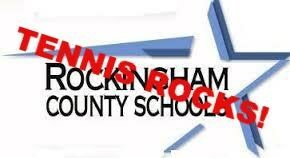 RC Tennis and Xerox Foundation will sponsor the Rockingham County Schools Boys High School Tennis Tournament. Join us on the courts at Jaycee Park and Rockingham Community College to support your favorite team. Rain dates are April 5 or April 6. RC Tennis and Xerox Foundation will sponsor the Rockingham County Schools Boys High School Tennis Tournament. Join us on the courts at Jaycee Park and Rockingham Community College to support your favorite team. Wayne Knight will be our Tournament Director.Rain dates are April 5 or April 6.